Bring on the burritos. 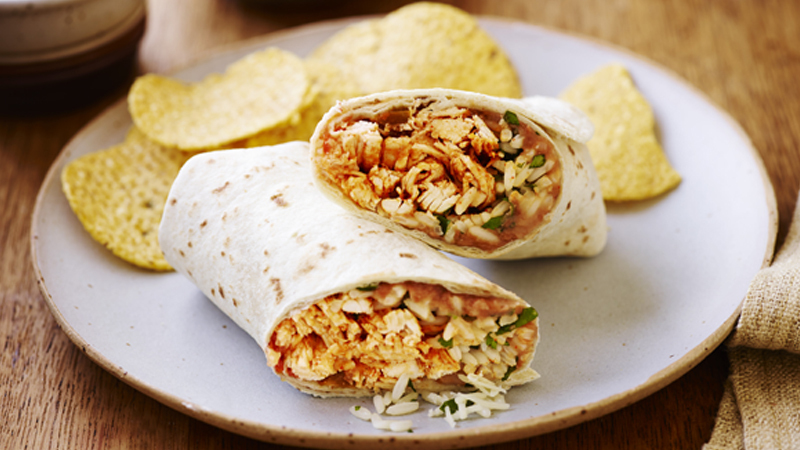 Stuffed with chicken, rice and salsa they're ready in minutes when you use a microwave. Heat the rice in the microwave as directed on the pouch. Transfer to a medium heatproof bowl and stir in the lime juice and coriander. Mix the chicken and taco seasoning mix in a second medium heatproof bowl and microwave on High for 1-2 minutes until piping hot. Warm the tortillas as directed on the packaging. 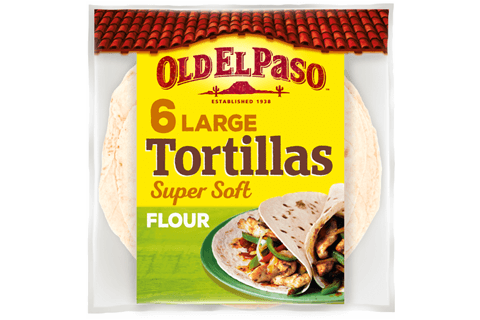 Spread about 2 tablespoons refried beans down the centre of each tortilla. Top each with 1/6th of the rice followed by 1/6th of the chicken mixture. Top with the grated cheese and salsa. 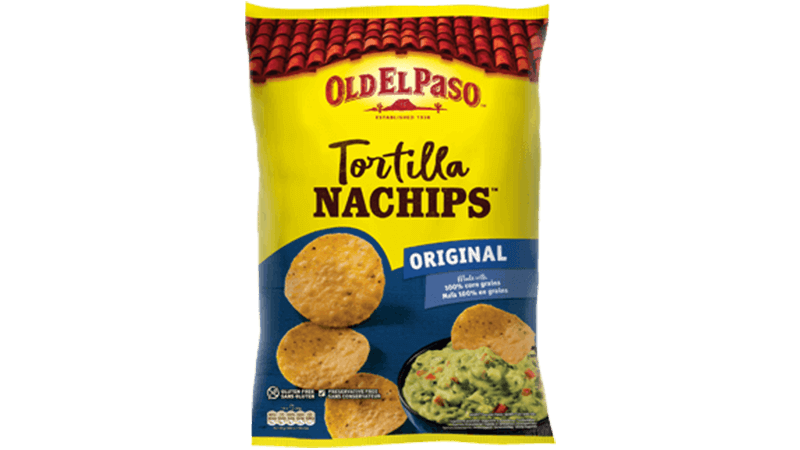 Fold or roll up and serve with Nachips™. • For veggie version replace the chicken with sliced peppers, strips of carrots and sliced mushrooms. Stir-fry in a little hot oil for 3-4 minutes until just tender. • If you want to add extra spice, stir a chopped red chilli into the chicken mixture or add a dash of hot chilli sauce.